Very inspiring. Thank you Andrea! You gave me the stimulation I needed as I've been lazy in my practice the last few years. I used to follow u on yoga community and I had given like hit to all Ur yoga poses on Facebook. I got surprised about your easy way of going through yoga poses. But Today I went to Ur website. Going through Ur articles. Found lot of Effort had gone behind all Ur comfortable yoga poses. Hats off to you. 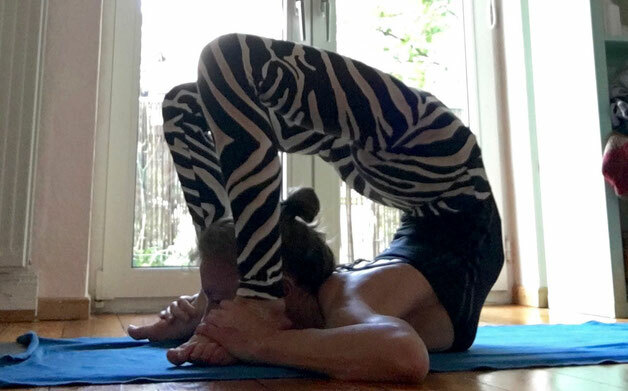 You know I am doing asanas IRREGULARLY, still not able to touch the ground without bending knees while doing Uttanasana. Still struggling to do regular asanas. Really inspiring what you do, show and write. I attended to different yoga classes but did not really got hooked yet. How should I start if I want to do this on my own? Any tips?